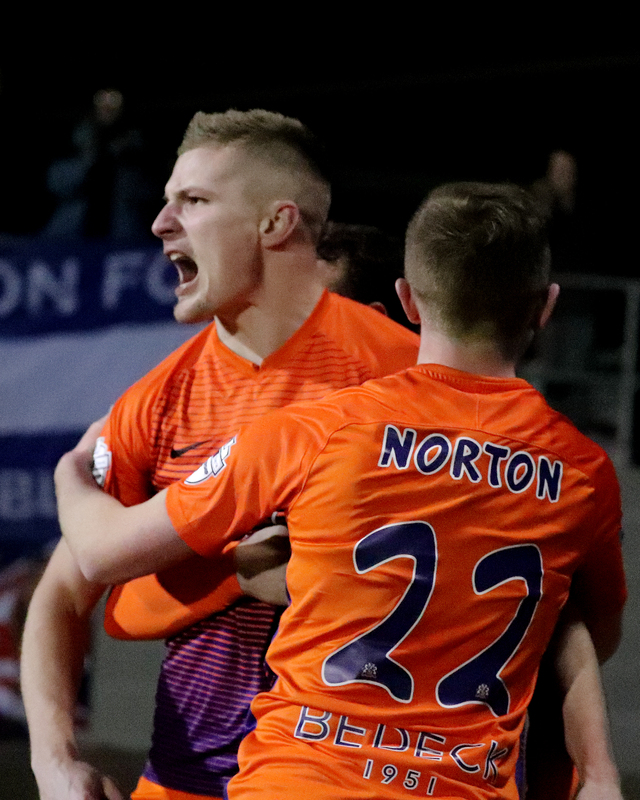 A last-minute winner by Sky Blues substitute Johnny McMurray ended Glenavon’s long unbeaten run after Mark Sykes had equalised Andy McGrory’s first half opener. Glenavon had started the brighter with a strong wind behind them at a rain-lashed Showgrounds but seconds after a chance fell to Andy Hall from a Stephen Murray cross, a long kick out from Ross Glendinning was held up well by Adam Lecky who played in Cathar Friel and his cross was touched back into the 6 yard box where an unmarked McGrory had a simple tap in to open the scoring. 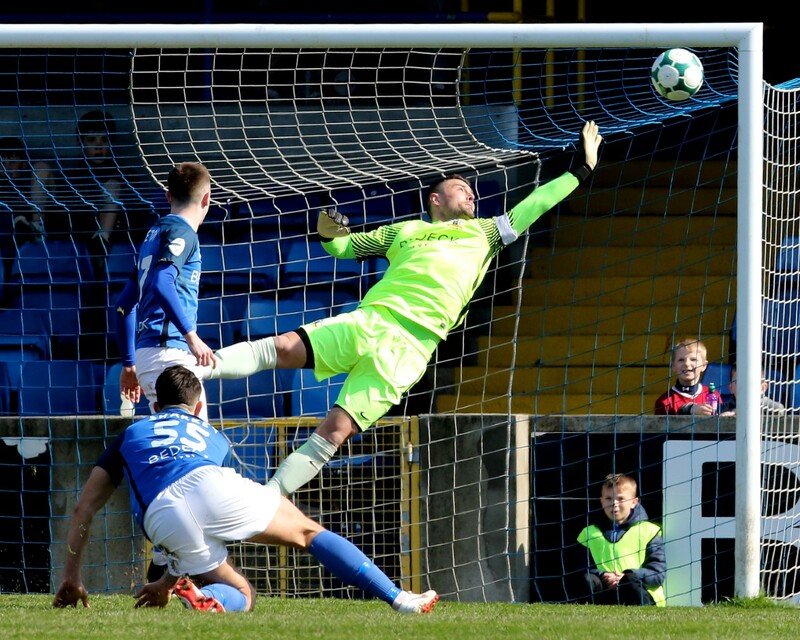 Glenavon piled on the pressure in the second half and it became a backs-to-the-wall effort for the home side as Sykes and Murray sent shots over the cross bar before the Glenavon midfielder caressed a shot into the bottom corner from just inside the box. He had played the ball out to the right to substitute Conor McCloskey and his cross was only headed out as far as Rhys Marshall on the 18 yard line. He squared it to Sykes who steered his shot beyond the reach of Glendinning. 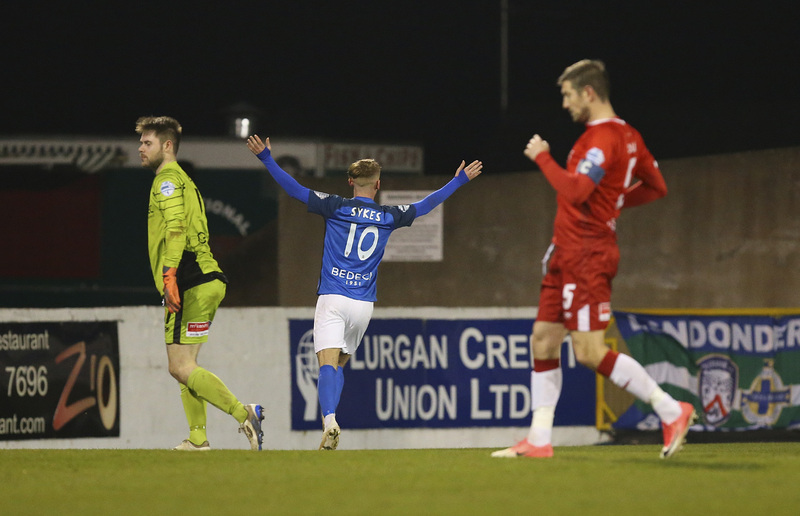 Before the restart following the equaliser Gary Hamilton brought on Jordan Jenkins for Andrew Mitchell, his intent clear to go for the win as Glenavon continued to dominate but it was two Sky Blues subs who combined in the final minute to secure the three points. 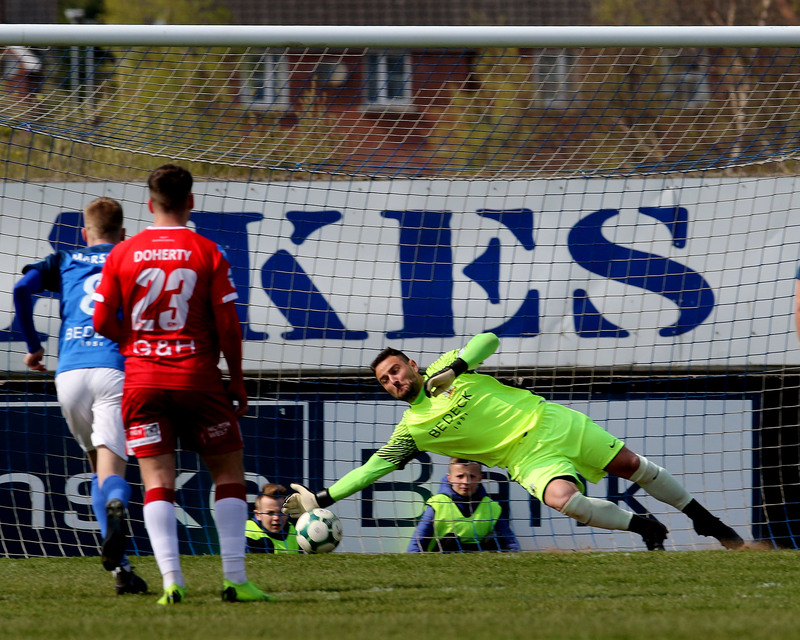 Again a long kick from the keeper caused Glenavon problems with BBC Man of the Match Adam Lecky flicking on to McMurray who laid it off the Tony Kane. His precise cross was perfect for the United sub and his downward header from 10 yards was just beyond the reach of Jonny Tuffey. Ballymena Utd. 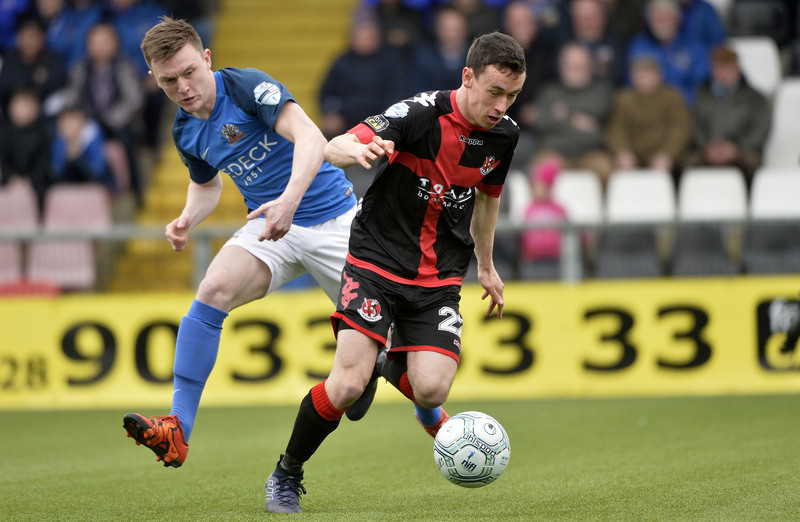 : Ross Glendinning, Addis, Whiteside, Friel, Knowles, McCullough, Faulkner, McGrory, Ervin (c), Lecky, Millar: Subs: McCauley GK, Kane , Nolan, Winchester (Faulkner), Reece Glendinning, McMurray (Friel), Umar.